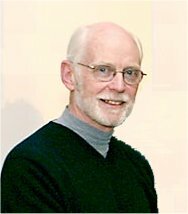 This website was created by Michael Sean Mahoney, Professor of the History of Science at Princeton University until his death in Summer 2008. Professor Mahoney combined the unique specializations of the history of medieval and early modern science (especially mathematics), and the history of technology (especially modern computing). These pedagogical materials comprise one of the chief legacies of Professor Mahoney’s work. Not only did he assemble detailed college-level syllabi, complete with linked readings, but he also produced (under “Projects by and for Teachers”) a series of materials to be used by secondary school teachers, so that they could enrich their history teaching with episodes from the history of science and technology. We at Princeton believe that there could be no more fitting tribute to our colleague and friend, Mike Mahoney, than to ensure that this material remains available. * The URL for this website has changed as of November 2009. Please take note of the new address for all future citations. This site is no longer actively updated. Inquiries should be directed to Jean Mahoney (jeanmahoney@verizon.net). Reading a Machine: Projects by and for Teachers prepared by members of my 1984 and 1985 NEH Summer Seminars for Secondary School Teachers on "Technology and the Human Experience"
"The Web of Learning: Staying Real in a Virtual World", Lecture at the University of South Carolina in Celebration of the College of Arts and Sciences, 6 April 2005.